Around the world, people are getting together with family and friends to celebrate the holiday season. 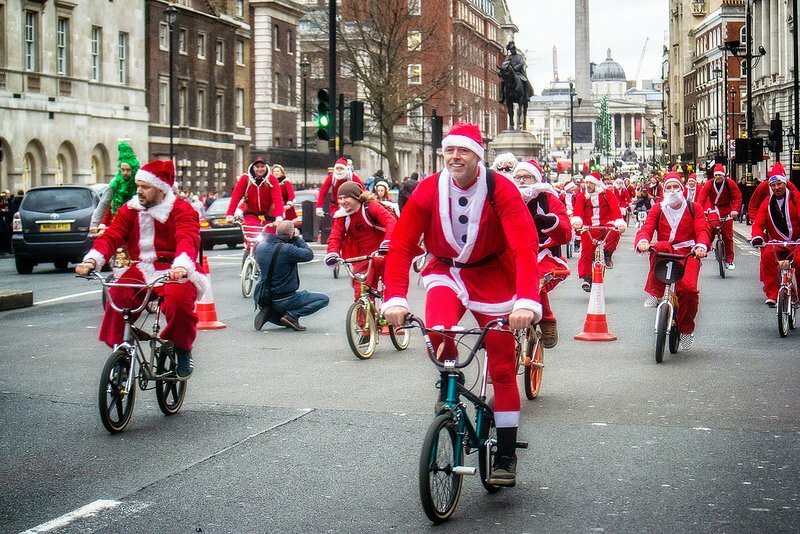 While you are probably familiar with Christmas traditions such as Santa Claus giving presents, kissing under the mistletoe, and singing Christmas carols, some countries also have some quirky cultural customs. 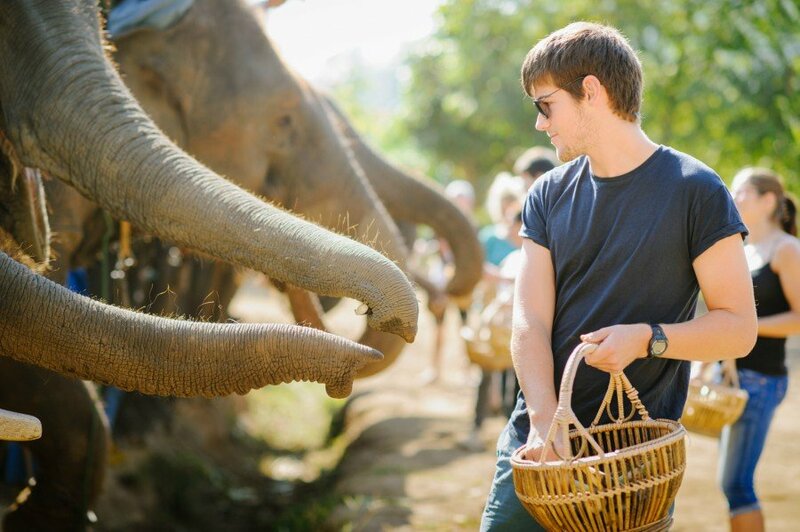 Here’s 10 interesting traditions we found. The Christmas pudding or plum pudding is a necessity for Brits at Christmas. Families often claim to have their own secret recipes that have been passed down for generations. It is a tradition for each member of the family to stir the pudding and make a wish. 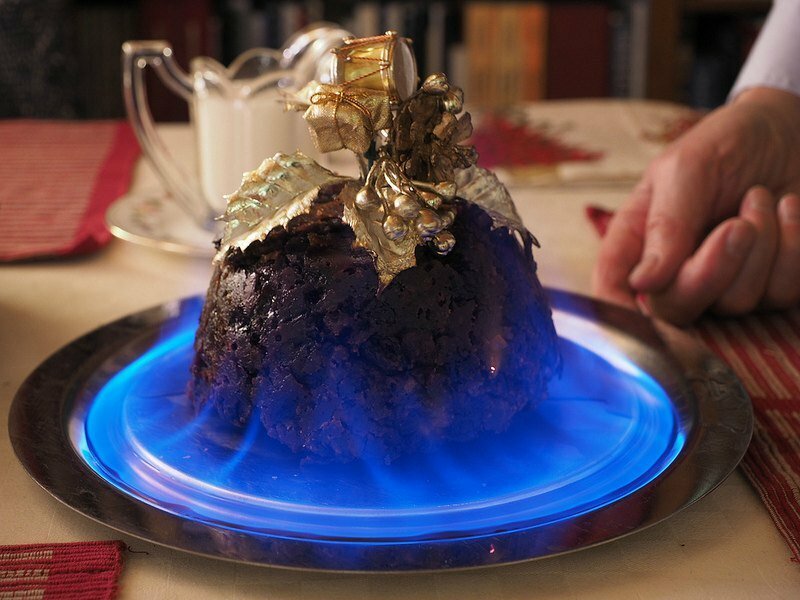 Brandy is poured over the pudding and set alight when served. Santacon is an annual gathering/pub crawl where people dress up as Santa (it has now expanded to other Christmas characters). 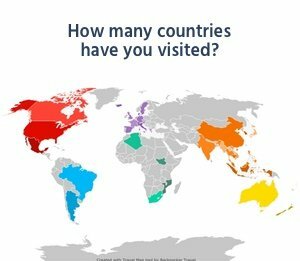 Started as a theatrical prank in San Francisco back in 1994, is has now grown to a worldwide event with over 350 cities in 50 countries in 2015. 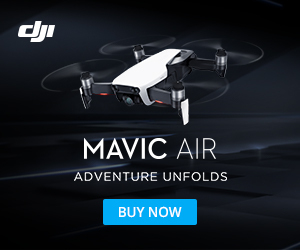 It’s incredible how powerful advertising can be. 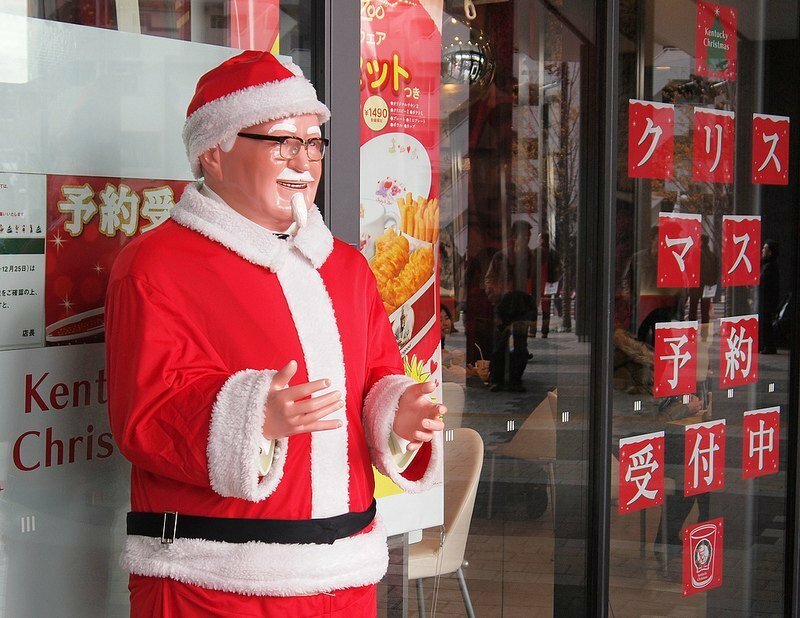 Back in 1974, Kentucky Fried Chicken (now KFC), ran an extremely popular campaign associating its fried chicken with the Christmas tradition, replacing the unpopular turkey. See, marketing works! Goats play a big role in Swedish Christmas celebrations from small ornaments to gigantic structures, such as the goats in the city of Gävle that are set up every year in December. 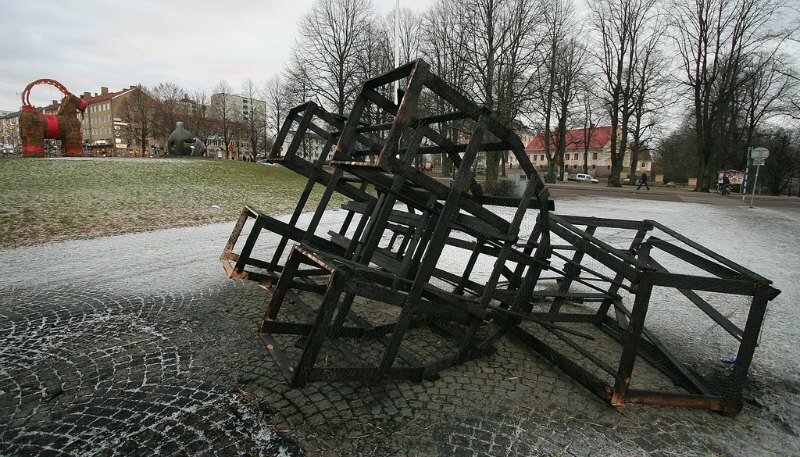 Strangely, the big Gävle goat is traditionally vandalized or burnt down each year. Since 1966, the goat has survived until Christmas Day only 13 times. 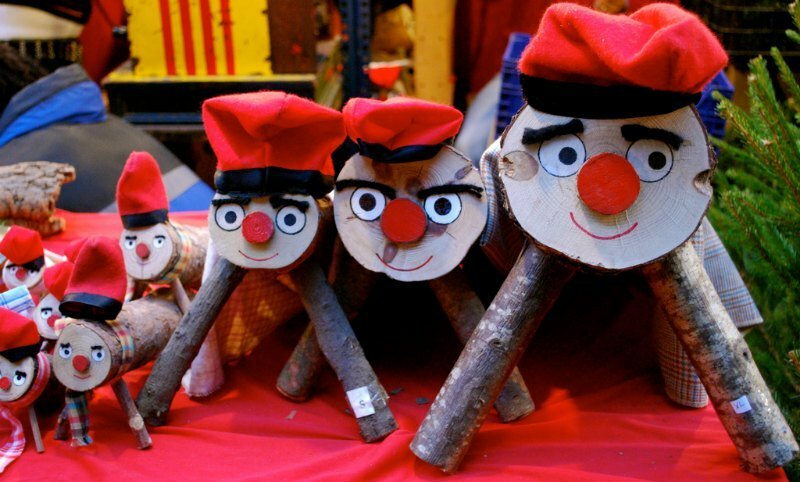 The Tió de Nadal (meaning “Christmas log”) is a hollow tree trunk with little legs and a face painted on it. Each night, the children give the tió, or log, a little bit to “eat” and cover it with a little blanket so that it won’t be cold at night. On Christmas day, they put the tió into the fireplace and order it to poop, encouraging it by beating it with sticks while singing traditional songs. 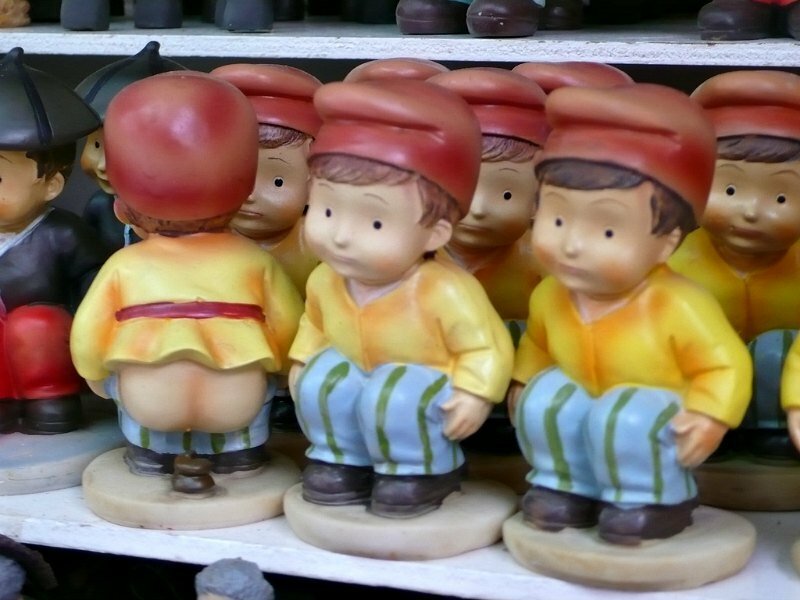 The Catalans also display a Caganer – a figurine shown to be pooping, appearing in nativity scenes and wearing the traditional Catalan red cap with its trousers down. Statuettes of well-known people pooping are a strong Christmas tradition in Catalonia, dating back to the 18th century – and symbolize fertilization, hope and prosperity for the coming year. 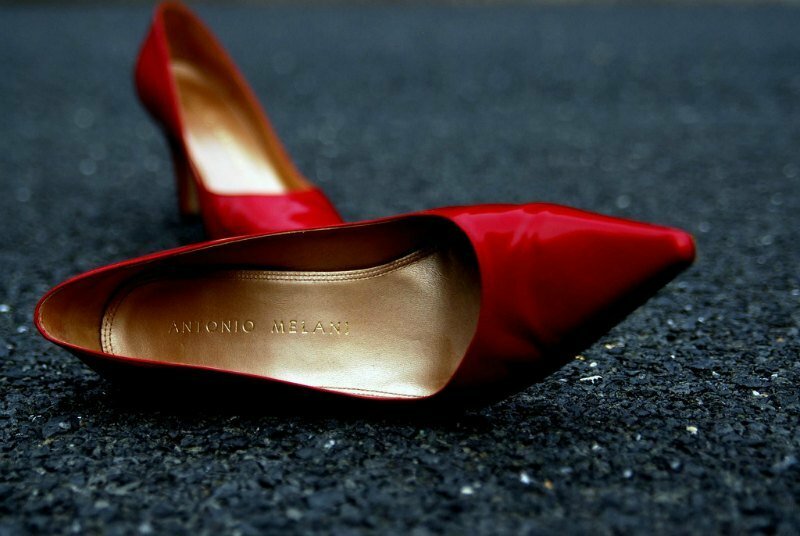 In the Czech Republic, single people who want to find a spouse before the next Christmas celebration stand with their backs to the door and throw a shoe over their shoulders on Christmas day. If the shoe lands with the toe pointing to the door, congratulations – you’re going to get married soon! 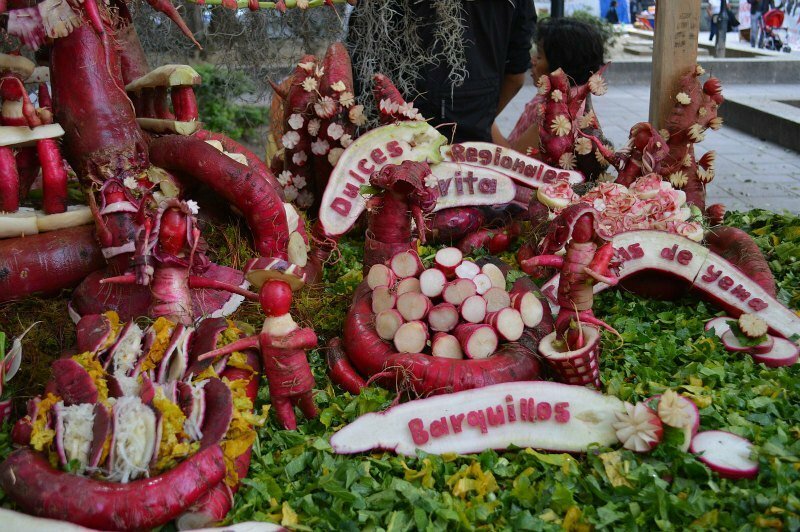 The Night of the Radishes (or Noche de Rábanos) is an annual event in the city of Oaxaca, Mexico dedicated to the carving of oversized radishes to create scenes that compete for prizes in various categories. The event has its origins in the colonial period when radishes were introduced by the Spanish. Oaxaca has a long wood carving traditions and farmers began carving radishes into figures as a way to attract customers’ attention at the market in the main square a couple of days before Christmas. In 1897, the city created the formal competition. 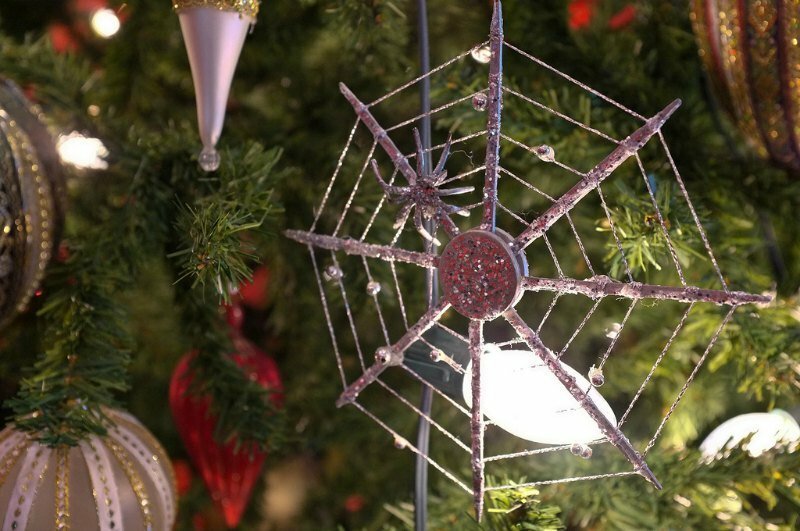 In the Ukraine, Christmas trees are often decorated with (fake) spider webs to usher in good luck during the coming year. The legend goes that a poverty-stricken family went to bed on Christmas Eve upset because they wouldn’t be able to decorate their tree. The spiders, roaming the home’s walls and floors, heard the cries of the family, and took it upon themselves to decorate the tree with their webs. On Christmas day, the strands turned to gold and silver, changing the family’s fortune forever. Many years ago in Norway, people believed witches and evil spirits came out on Christmas Eve to play. Needing transport, they would look for brooms to ride on. Not wanting their brooms to be stolen, the local people made sure that the brooms were well hidden. 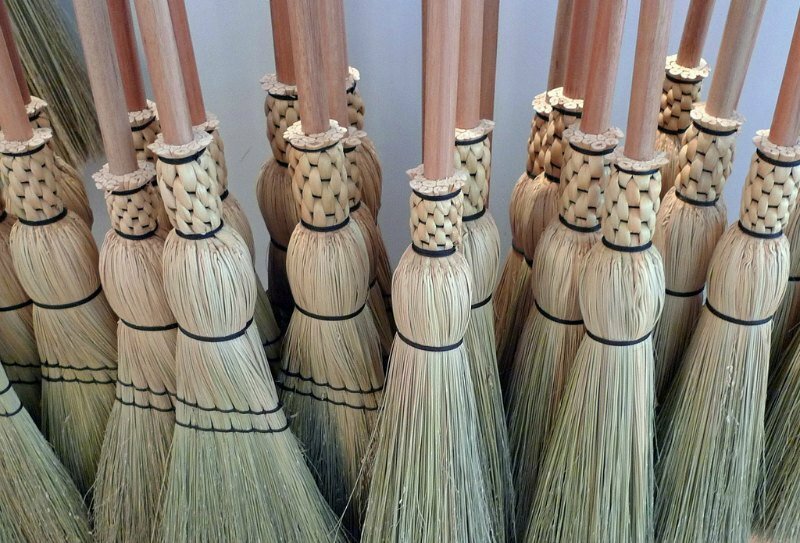 Today Norwegians still hide all brooms in their house before going to bed on Christmas Eve. In Austro-Bavarian Alpine folklore, Krampus is a horned, anthropomorphic figure who, during the Christmas season, punishes children who have misbehaved, in contrast with Saint Nicholas, who rewards the well-behaved with gifts. 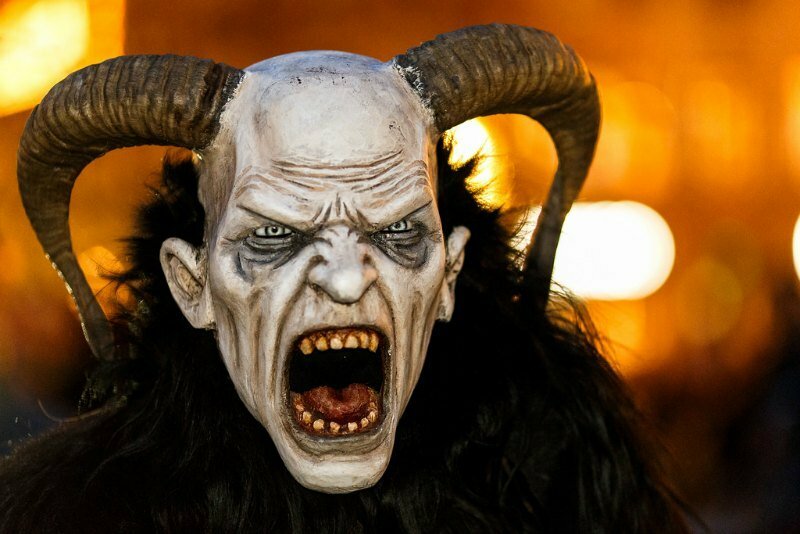 While it’s unclear how the myth of Krampus started, Krampus is one of a number of companions of Saint Nicholas in a number of European regions – it is featured on holiday greeting cards called Krampuskarten and in traditional parades – such as the traditional procession in Hallein, Salzburg, you can find young men dressed as this scary creature. 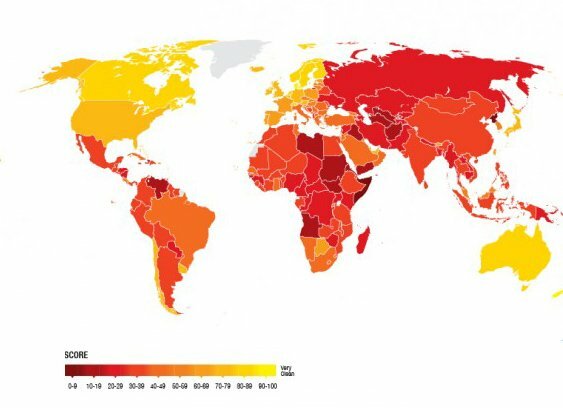 How Corrupt Is The Country You Live In?